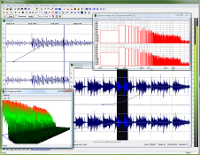 Wavosaur has all the features to edit audio (cut, copy, paste, etc.) produce music loops, analyze, record, batch convert. Ich arbeite viel mit Wavosaur. Bietet ein unkompliziertes Editing und eine rasche Bearbeitung! Finde das Programm echt klasse! - Lots of bug corrections/optimizations x86 & x64-bit. -- Auxiliary left and auxiliary right channel conversion to mono. -- Conversion to mono optimized with mix of only selected channels. - New "Select all" feature on right click. - New FXP and FXB management with strong support of Steinberg VST2.4 program and bank files.